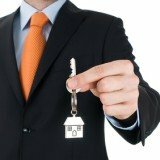 What are the different property manager positions that you can apply for? Uncover the different property management positions and their responsibilities here. If you are new and looking for a starter position, being an on-site manager is a great way for you to gain some valuable work experience. Many people who lack formal training or experience start off at this property management position. An on-site manager is in charge of a single rental property such as a residential multiplex, shopping center or small office building. Depending on who hires you, you will either report directly to the property owner or a property manager if you're working for a property management company. On-site property manager responsibilities: You are responsible for the day to day tasks of running a rental property such as dealing with tenants, collecting rents and preparing reports. You will also have to supervise the cleaning and maintenance of the property so it's a good idea to have the contacts of cleaners and contractors at your finger tips. Some on-site manager live on the residential property that they are managing - Instead of a salary or commission, they work for free lodging or heavily discounted rent. These live-in managers are known as resident managers. The compensation for a resident manager can vary widely depending on the size of the property and the scope of your duties. Some employers will also provide free training on the job so it will be a valuable opportunity to brush up your property management skills. With 2 to 3 years of property management experience, you can work your way up to an assistant property manager. Assistant property manager is the typical starting place for people with relevant education or training such as graduates with degrees in real estate or property management. An assistant property manager is usually be responsible handling multiple rental properties. Common examples include luxury homes, mid sized office buildings or a mixture of both. Because this job position requires you to deal with a few rental properties at the same time, you need to be highly organized and have a good eye for details. In addition to the day to day running of properties, an assistant property manager is also in charge of rental property accounting as well. As such, knowing how to use basic office software such as Microsoft Word and Excel is essential. An assistant property manager will have to interact with a large circle of people including the tenants, senior managers and property owners. Having solid communication and people skills will help greatly here. Being a property manager requires at least 5 years of property management experience in general. The average property manager has to oversee anywhere from 30 to 200 smaller rental homes or up to 10 large rental buildings. With this many rental properties under your wing, you're not expected to be personally involved with the day to day running and maintenance of the properties. On-site managers and assistant property managers under you will be charged with these routine tasks. As a full-fledged property manager, you are in charge of maximizing rental income and profits of the properties in your management portfolio. If more serious problems crop up, then your assistant managers may need to call on your vast experience to settle the issue. A property manager is expected to have a firm grasp of the local landlord tenant laws. With 7 to 10 years of hard work and good performance, you may eventually achieve the lofty property management position of a senior property manager. Earning a well recognized property management certification such as CPM along the way does help to hasten your promotion. A senior property manager is also known a regional manager or portfolio manager. As upper management, you will be responsible for monitoring and improving the performance of the lower managers. You will also be dealing with major clients and making sure that your company is profitable.